Jewel neckline. 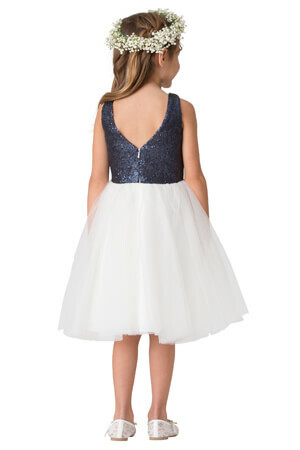 Sequin bodice with chiffon bow. 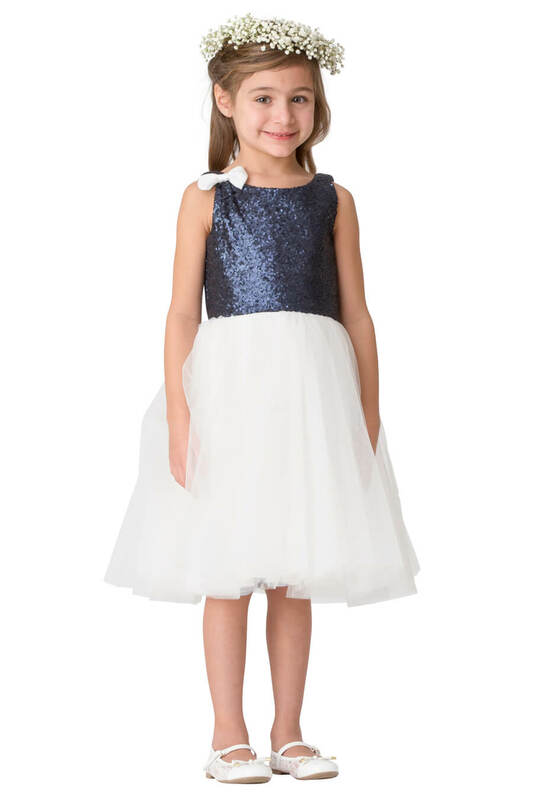 Tulle knee length skirt and center back zipper.